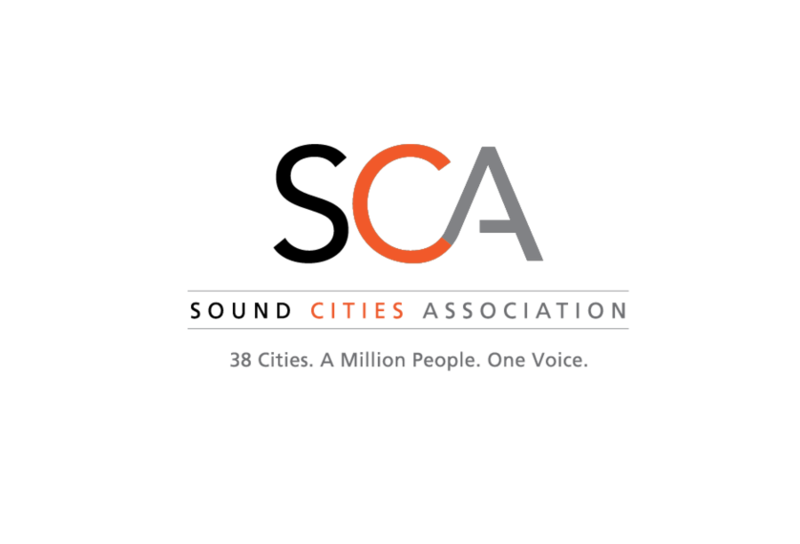 Pacific Mayor Leanne Guier and 12 other mayors, councilmembers and a city manager elected to lead the Board of Directors of the Sound Cities Association, which provides a regional voice for more than one million people in King County, Washington. TUKWILA, WA, February 12, 2019 /24-7PressRelease/ — The Sound Cities Association (SCA), which represents 38 King County cities and provides a regional voice for more than one million people, has announced the election of Officers and Board members to lead the organization in 2019. Pacific Mayor Leanne Guier has been elected to serve as SCA President, with Kent Mayor Dana Ralph elected to serve as Vice President and Redmond Councilmember Hank Margeson elected Treasurer. Director at large Lake Forrest Park Deputy Mayor Catherine Stanford and immediate Past President Mayor David Baker of Kenmore complete the SCA Executive Committee. In addition, Renton City Councilmember Ed Prince was unanimously elected to serve his second term as the Chair of the Public Issues Committee. Mayor Guier is the first president from Pacific in the 50-year history of the SCA, which provides regional leadership in areas such as economic and community development, transportation, land use, health, government operations, the environment, education, public safety, social welfare and other public policy issues. Dawson said that SCA will be welcoming two new Board members in 2019, Bob Larson, Snoqualmie City Administrator, and, Bothell Deputy Mayor Davina Duerr. Reelected to the SCA Board were Mercer Island City Council Bruce Bassett, Federal Way Mayor Jim Ferrell, Covington Mayor Jeff Wagner, Auburn Mayor Nancy Backus and Duvall Mayor Amy Ockerlander. SCA, which was formerly known as the Suburban Cities Association, was established 50 years ago to help King County cities act locally and partner regionally to create vital and thriving communities through advocacy, education, leadership, mutual support and networking. For more information, please visit www.SoundCities.org. The Sound Cities Association (SCA), which was formerly known as the Suburban Cities Association, was established 50 years ago to help King County cities act locally and partner regionally to create vital and thriving communities through advocacy, education, leadership, mutual support and networking. SCA provides regional leadership in areas such as economic and community development, transportation, land use, health, government operations, the environment, education, public safety, social welfare and other public policy issues.